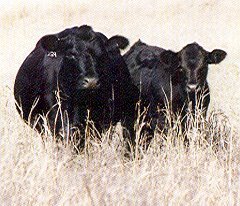 breeds Gelbvieh-Influenced females attracted many of the most progressive commercial producers in the industry with the first Meat Animal Research Center germplasm study data in the early 1970s. 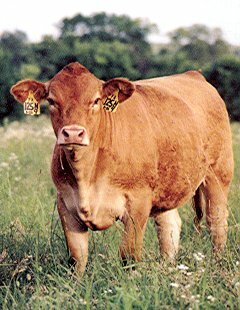 Gelbvieh-sired females topped the charts on fertility, age at puberty and pounds of calf weaned per cow exposed. The early data made a statement about the Gelbvieh-influenced female. Today's MARC data shows a female that has reduced her mature size - the only one of the breeds in the study to reduce mature size. This includes the British breeds in the study! The most recent MARC study showed the Gelbvieh-sired calves with the lowest birth weights of the four major continental breeds - Simmental, Charolais, Limousin and Gelbvieh. Gelbvieh-sired calves also tied for the top survivability to weaning of all breeds. The industry focus changes from time to time, but the money in the cattle industry is still made in the cow-herd. Today's Gelbvieh genetics will make your cowherd work as hard as you do.